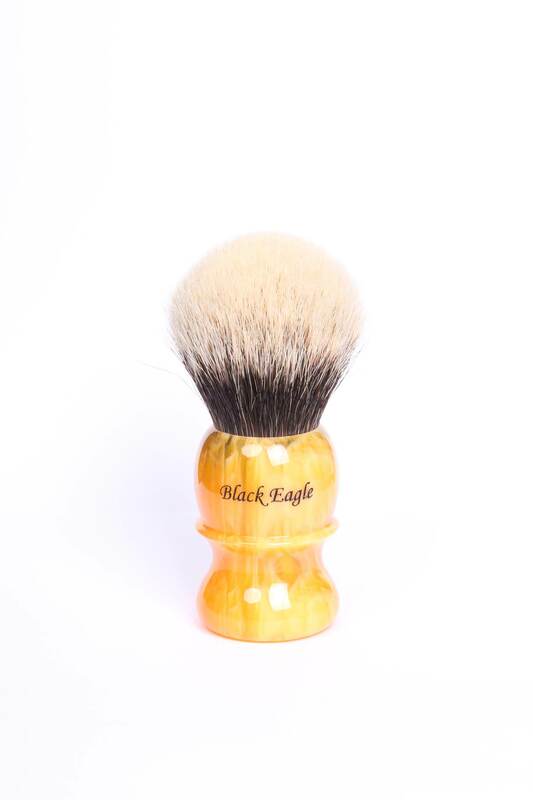 As I see others are enjoying their Black Eagle brushes I thought I'd start a thread to have all these beauties in one place. 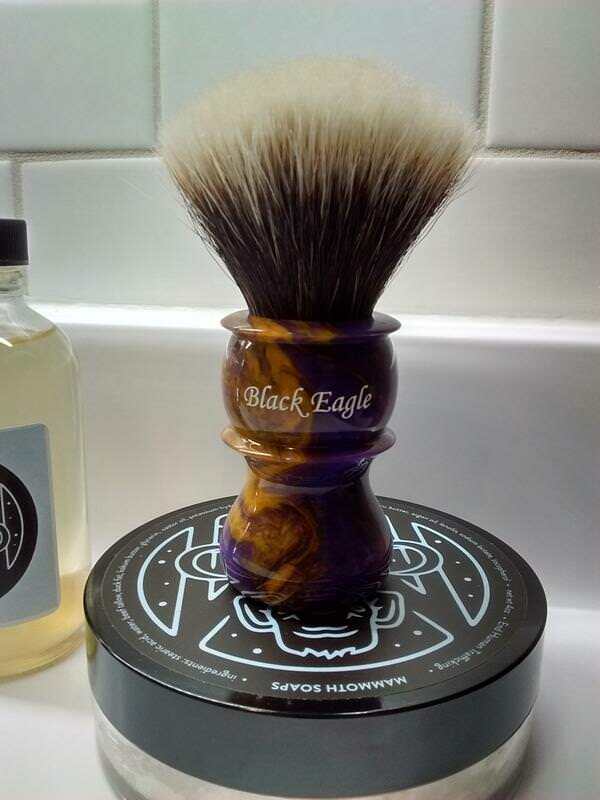 Please feel free to post and/or discuss all things Black Eagle. 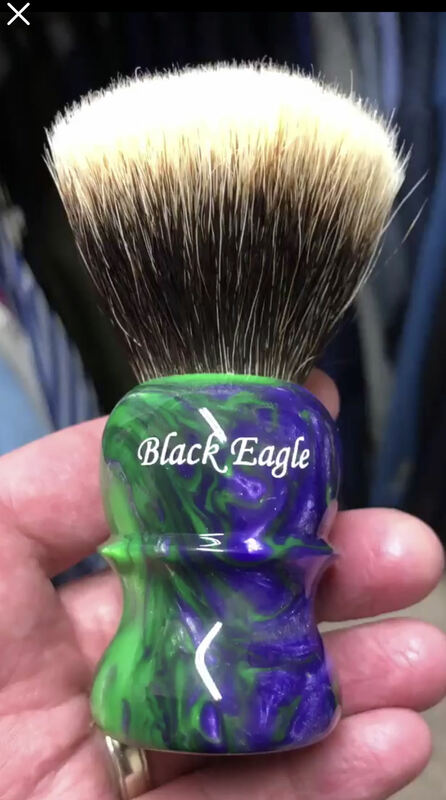 I became aware of this wonderful brush maker about 6 months ago as he started posting pics on facebook of the handles he was making. 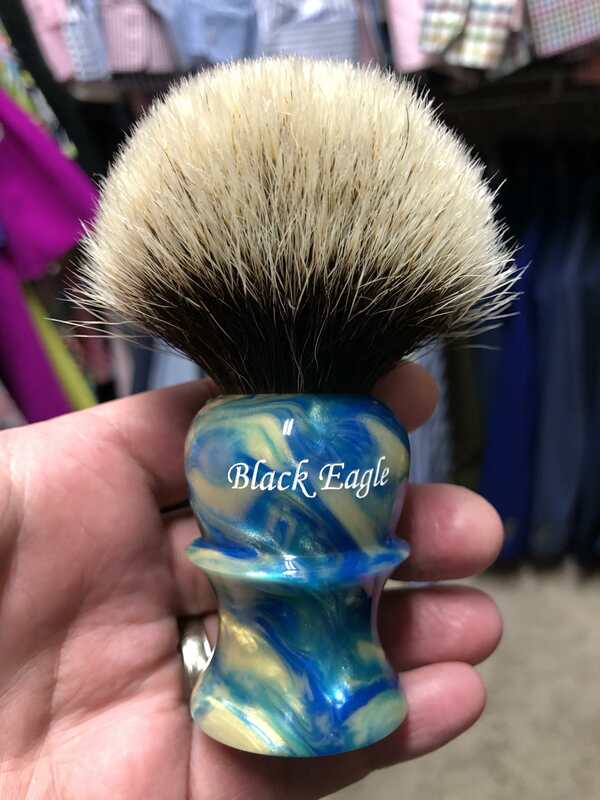 I was immediately intrigued by the wonderful colors so I thought I'd send him a message to see if he was the maker and if he would be willing to sell me a brush and/or handle. He responded back by stating he was just starting out, but he would be willing to sell a couple to start things rolling. At this time he said he purchased his knots and gave me a brief description. He also stated he was in the process of learning how to hand tie his own knots, but wouldn't be selling them for awhile. When I got my two brushes I found pre-made knots to have very good balance in regards to backbone, splay and flow thru. I would say there is a similarity between his standard (purchased) knot and what Brad Sears is using. 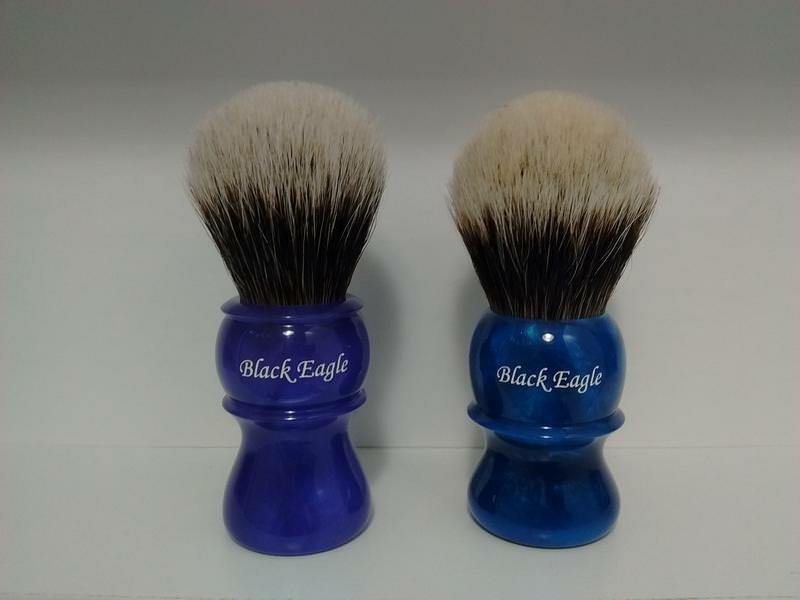 Below are the first two brushes I purchased from Bradley. A purple Rhino and blue Elephant. A few weeks ago I messaged Bradley again and asked him how his hand tied knots are coming. He said that he's gotten better at it and was comfortable tying 25mm knots so I asked him if I could go ahead and get one. I wound up choosing the Rhino handle which I love and with a purple/gold resin as those were my Alma Mater's colors. Fast forward to Friday. 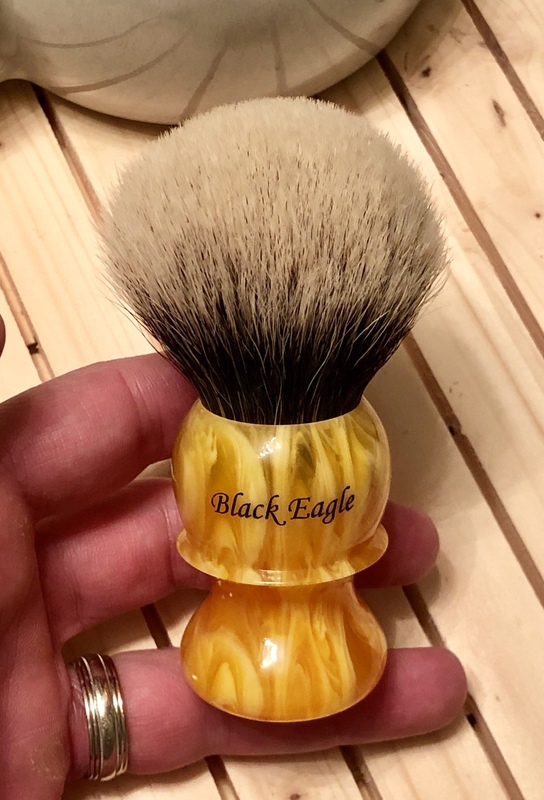 I got a knock at my door well after USPS had been there and low and behold it's another USPS worker delivering my newest brush. It was a wonderful surprise as I was expecting the package after the holiday weekend and I was just getting ready to shower and shave for the night. I ripped open the package like a kid at Christmas and headed for the shave den. The first use was excellent. 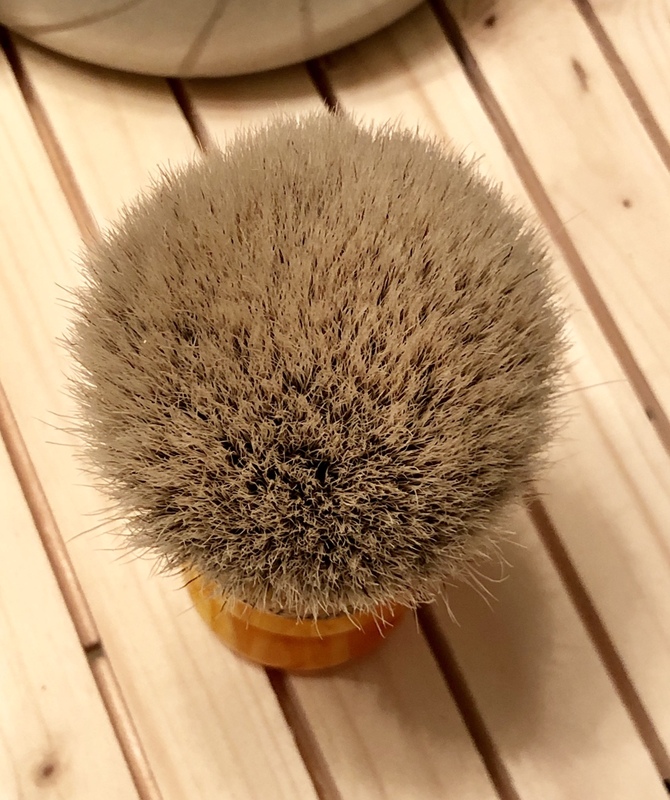 The density is very similar to a Declaration brush and the hair just as soft or even softer than my recent B6, which I didn't think was possible. I used it again tonight and the flow thru was better than the first use. I'm sure due to the density it will have a little break in period, but I'm already impressed and couldn't be happier. Here are a few pics. The second pic is after a soak in my shave mug. The third pic is after I shook the excess water out just before I began to load it with product. 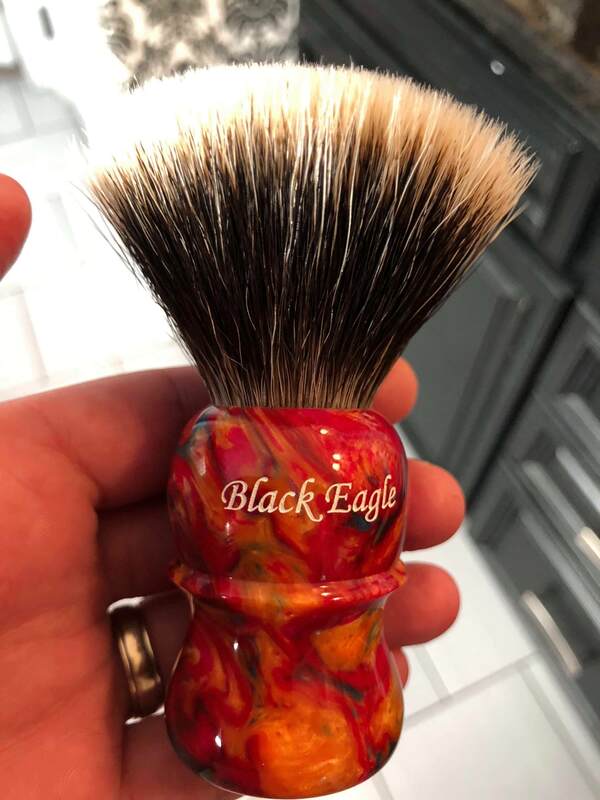 Beautiful Brushes, Great Report. Enjoy Them! Thanks for a good review. From what I've seen and read, Bradley's handles are top tier. If he masters making his own knots, it would be a big plus for his brand. I posted them before and I am glad to post these here once more! This is an Elephant in Eagles Beak. (11-26-2018, 09:33 AM)wimbouman Wrote: I posted them before and I am glad to post these here once more! Hmmmm. No photo on my device. I am a huge fan! No pun intended! LOL! 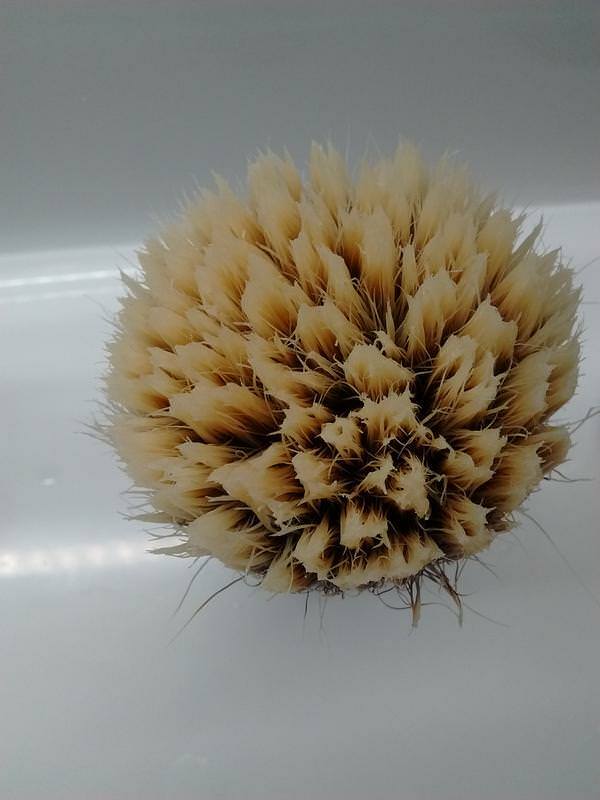 Wonderful brushes! I will put them up against the best of them! (11-27-2018, 03:56 PM)discerningbev Wrote: I am a huge fan! No pun intended! LOL! 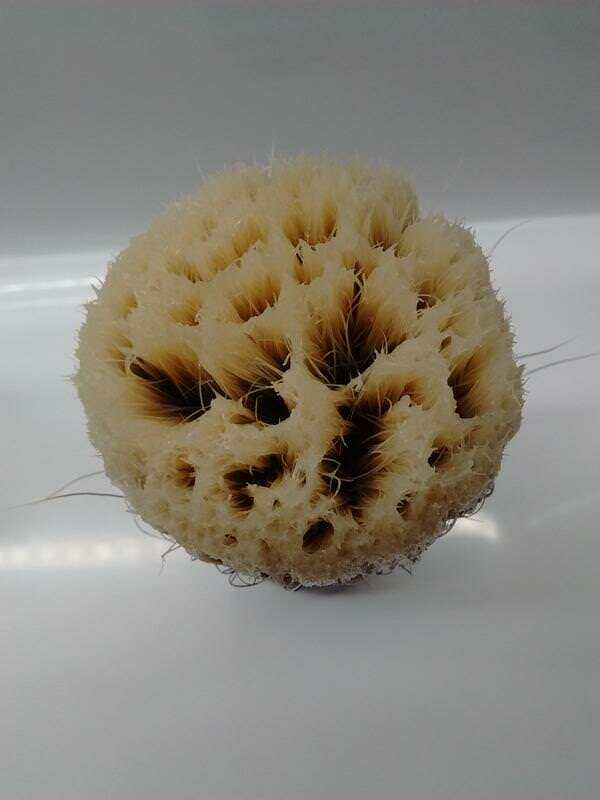 Wonderful brushes! I will put them up against the best of them! Wonderful pics. The Eagle's Beak is a stunner!! 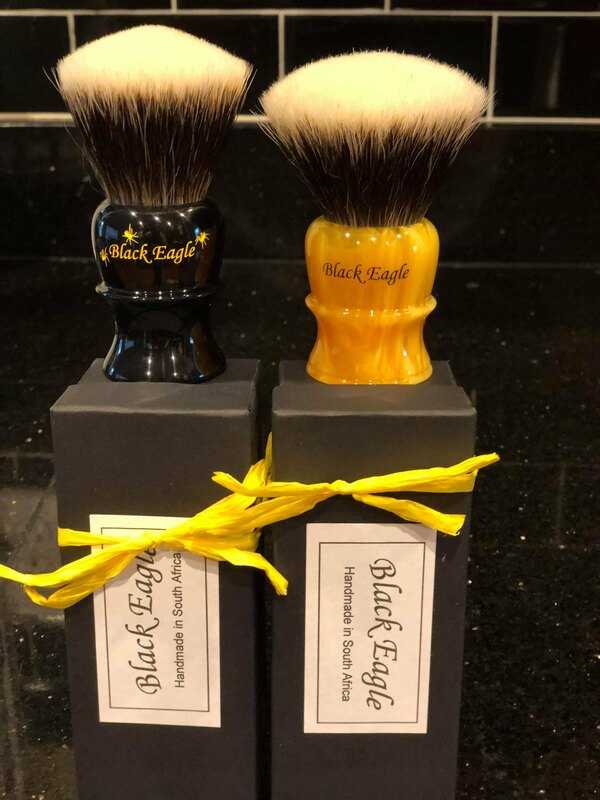 Love love love Black Eagle shaving brushes. The customer service is second to none. The response time is light speed and the craftsmanship is second to none. I can thank the above doe peaking my interest. I guess I'd better find a way to get one before it gets like Declaration or The Varlet. (11-27-2018, 04:40 PM)Puma Wrote: I guess I'd better find a way to get one before it gets like Declaration or The Varlet. The difference is you will actually get an answer when you contact black eagle owner. The other shops don’t even answer emails. 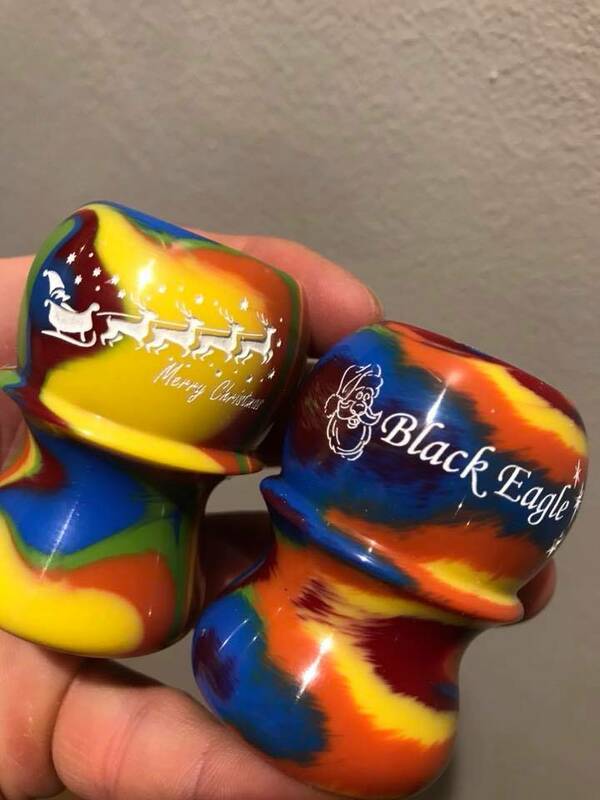 Customer service top tier with Black Eagle IMO. Thanks! I understand his new batch of hand tied knots are gel city and your pictures verify this. Awesome new brush! Thanks for posting the wet knot! New Black Eagle Hand Tied knot that my friend received. It is an elephant 25mm. Oh yeah! 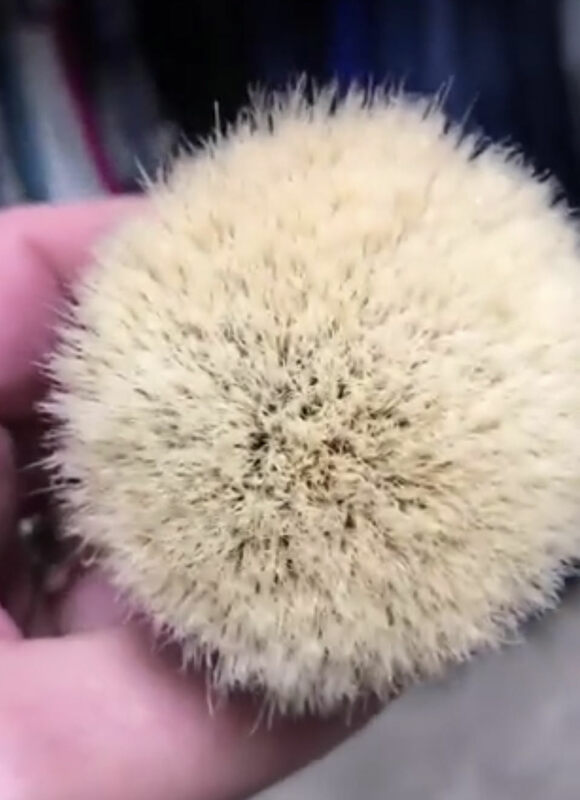 I got in on his Limited Edition Christmas Brush. Check out this Awesome handle! I'd love to see one in person and feel it wet. The handles look very nice. Not to rain on the parade, but I'm just not a big fan of gel tipped badgers overall. Big thanks for sharing the pictures and experiences none the less! It's great to read and see pictures on new gear even if it isn't my personal flavor! Discerningbev, is your pointed bulb a knot he tied himself? I love the shape of that for a 2 band. SimpleShave17, if you happen to take a photo of a bloom shot that would be much appreciated. I am curious to see how it fans out. 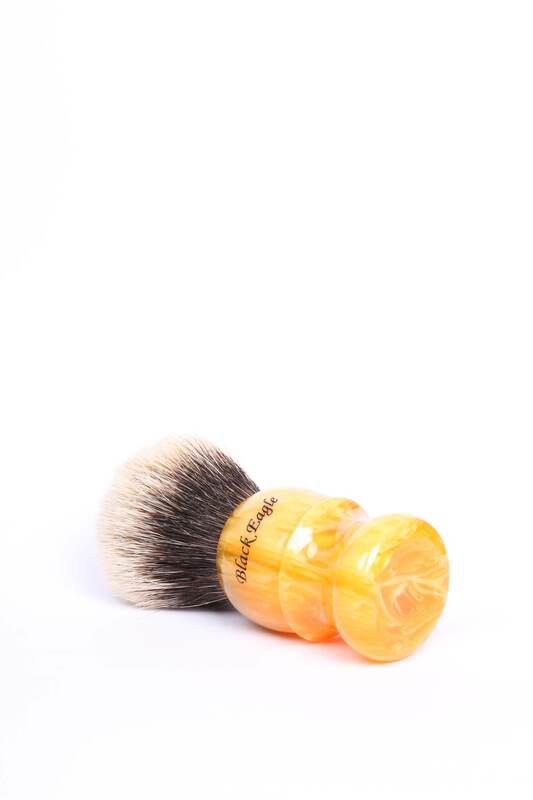 ^^This might be my next brush purchase! !